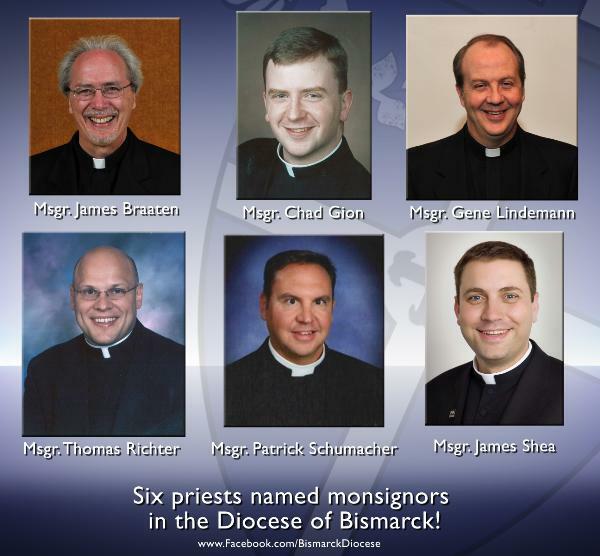 Congratulations to the six priests from the Diocese of Bismarck on being named Monsignor! Prayers and heartfelt congratulations to Monsignor James Patrick Shea, president of the University of Mary and all of you, from the Benedictine Sisters of Annunciation Monastery. Thank you for your dedicated service to the Church. We keep you in prayer!